Funded in part by a Carnegie-Whitney Grant from the American Library Association. 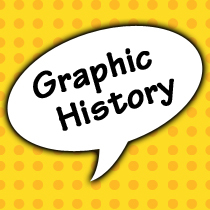 Graphic History is a database of available/in-print graphic novels dealing with historical settings, events, or people. It is hosted by the University of Iowa Libraries.